But we tried a very small batch of Cornish cross from a breeder with a good reputation. It was an interesting diversion and a fascinating comparison with the red birds. Whilst the red birds are much slower growing, they are our strong preference going forward. The Cornish Cross is an interesting bird. No, it is not a genetically modified organism , but is the result of crossing Cornish chicken and a White Rock. The result is a bird that grows very fast and has a large breast (pectoral) muscle. Think of it as a thoroughbred horse. 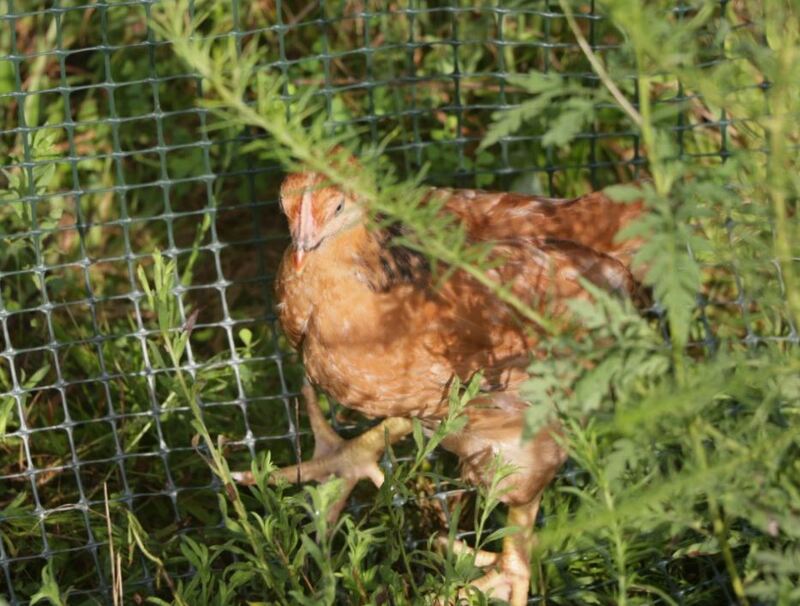 They are extensively used by large scale chicken hell houses and sustainable / organic producers. These birds are docile but pretty sedentary spending much more of their time in couch potato mode rather than running about. Given the chance they will sit down in reach of the feeder and eat like a poorly disciplined person with a bag of chips and the TV remote. They grow fast, and produce nice sized breast meat cuts. Consumers have got used to plump breast cuts in the supermarket so acceptance is high. This is an issue seen at altitude – some breeders recommend not keeping them above 5,000ft, thankfully Houston is not known for its mountainous terrain. The Cornish Cross is known for the potential for leg problems despite the birds having tree trunk like legs compared to some other breeds. Many producers see Cornish Cross leg issues The problems seem to have at least 2 manifestations, only one of which is well documented. If given round the clock access to high protein feed the birds can grow so fast they can outgrow their legs. This issue is partly addressed by limiting feed access such that the birds so not grow at the maximum rate. Additionally mineral supplementation may aide bone strength. This is the second cause. Here the leg bones are fine, but the bird (with no other health issues) walks like a drunken sailor falling down periodically. They then get back up and continue. They have no issue reaching the water or feeders. 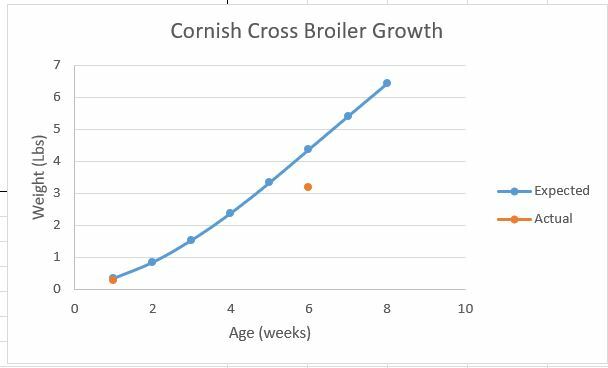 We tried a small group of Cornish Cross to see how they fared, and they had this latter issue. Have excellent stool and overall appearance. But we had great success restricting the feed and lowering the protein content of the feed. This has slowed the rate for growth by about 15% allowing the legs to catch up. Further we added egg shell to the feed to increase calcium levels. Of course we took the measure of changing the breeder thus getting slower growing birds future.